I'm very pleased to be playing another Right On! style set this coming Saturday. 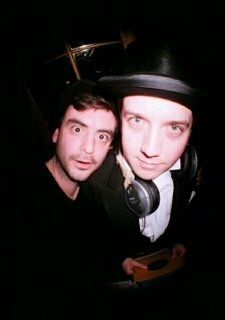 I've been invited to join resident DJ Simon Stretch on the decks at his Stormy Weather night at Barrio North - a bar opened last year dedicated to vintage and underground music. We will be spinning a mix of 1950s-1970s black music - all off of original 45s. Expect to hear some fantastic rockin' r'n'b, 60s soul, funk, jazz, ska, reggae, mambo, calypso, boogaloo and whatever other aural curiosities spring to mind. Simon and I DJ'd alongside each other at the last Rakehell's Revels and complemented each other perfectly, so I am really excited at this chance to DJ with him again.